May 15th and Friday, May 23rd, along with the artist Claudio Gómez, Kunihiko Bonkohara and others atomic bomb survivors (Hibakushas) from Hiroshima and Nagasaki and members of Association for Peace Hibakusha Brazil. According to IUFF director Norbert Suchanek "Because of lots of unfinished street asphalt repair and now the bus strike, Rio de Janeiro is chaotic at the moment and many people cannot arrive to their workplace like most of our volunteer staff that never made to MAM reseting our logistics". Excited by the "extra" challenge that the 4th IUFF faces, added to the films portuguese translation project, lack of year-round sponsorship for the year-tound IUFF traveling festival in Brazil and abroad, Mr.Suchanek guarantees "The show must go on! The IUFF Rio 2014 will continue until May 25th - with or with bus strike! Subways are running normally and are a good alternative for people relying on public transportation. 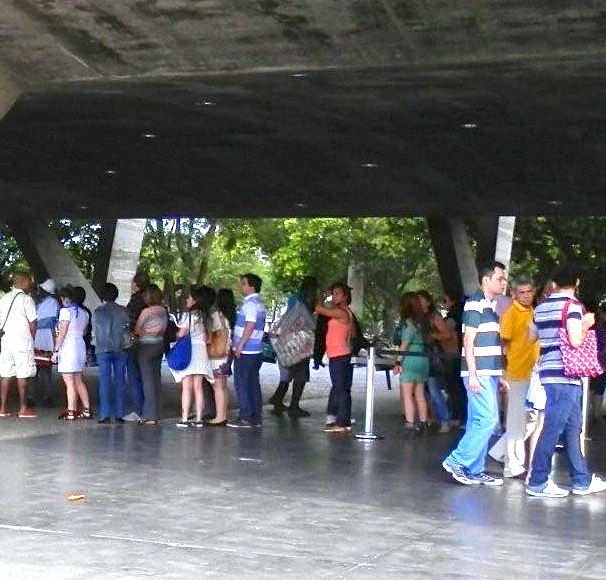 The nearest subway station to Rio's Modern Art Museum is Cinelândia - 10 minutes walk to Aterro - MAM. Check MAMs website for more info how to get there.